When digital 3D models are projected in a sensorial environment, traditional boundaries between their representational properties and their physical experience tend to get blurred. 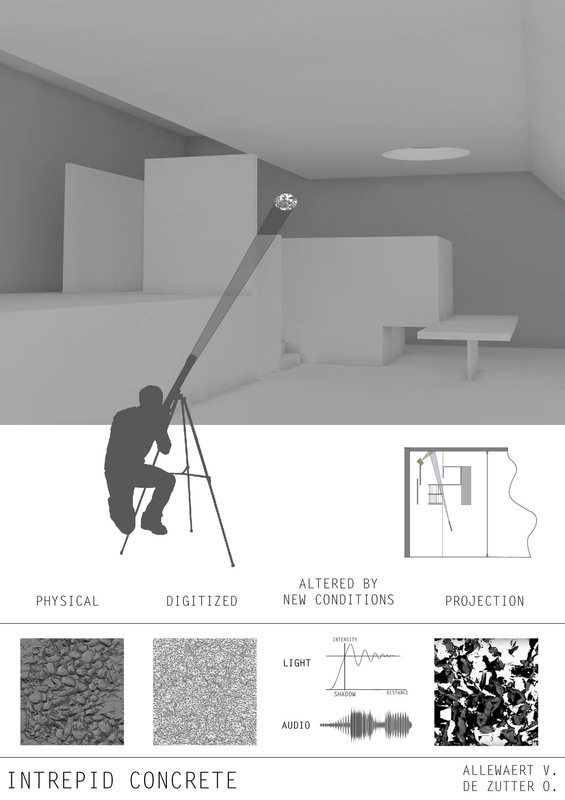 In this concept of immersive space, it is tempting to question the relation between this autonomous digital space and traditional design parameters, such as programme, scale, gravity, light, etc. 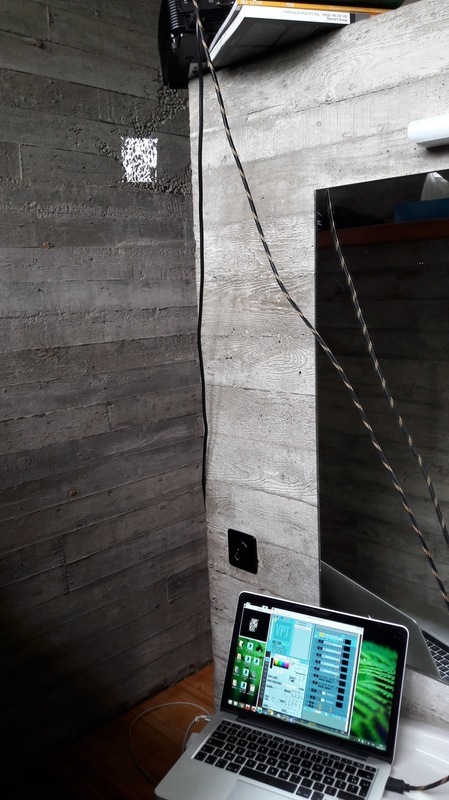 For this elective course, students were asked to reflect on such issues while designing an extension for the house Van Wassenhove (1970-1974), brutalist masterpiece by architect Juliaan Lampens. The resulting designs each explore the relation between physical and digital space in their own way. 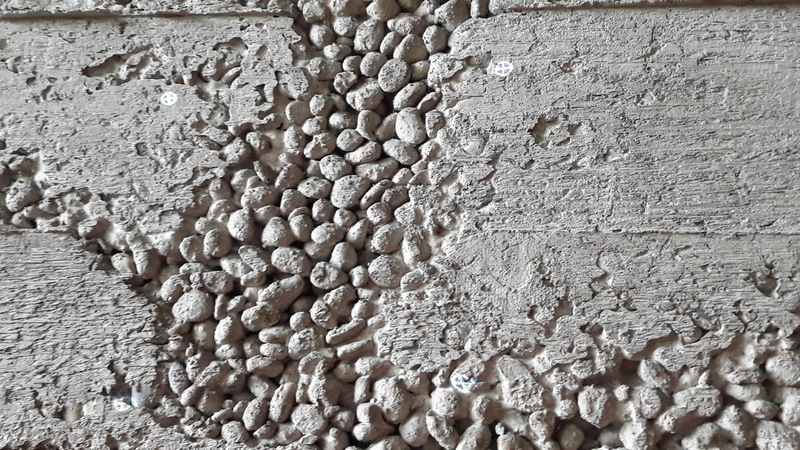 In the project "Intrepid concrete" by Ommery De Zutter and Valérie Allewaert, the microscopic interior of a concrete honeycomb on one of the walls is scaled up to the size of an accessible space. 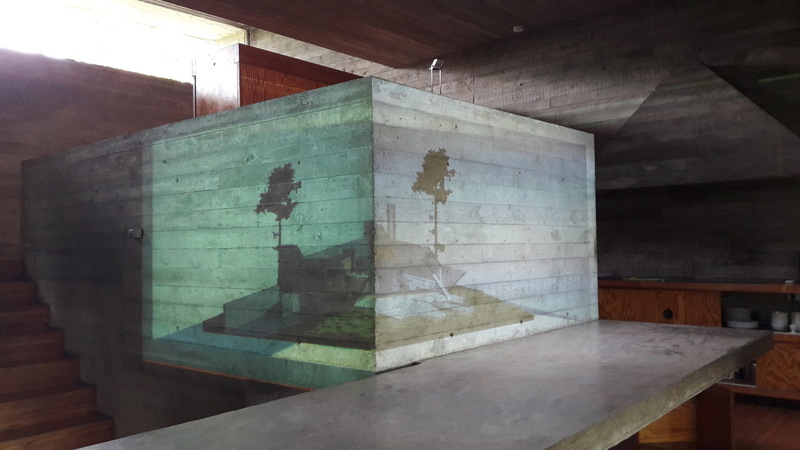 A digital model, result from a 3D scan, is used to create an intricate play of animated shadows which in turn are mapped back on the concrete honeycomb and can be observed through a telescope across the house. 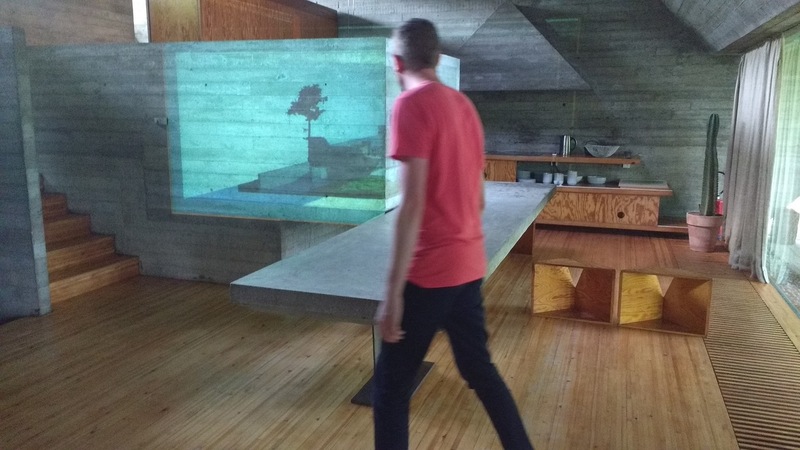 The project "Infinite self-reflection" by Hendrik Bostoen and Jelle Vermandere creates a real-time loop in which the visitor can observe himself in a scale model of the house. Using head tracking technology and real-time rendering, the digital model is projected on the walls of the house as a perfect trompe-l'oeil, regardless of the observer's position. Go to video 1 of "Intrepid Concrete"
Go to video 2 of "Intrepid Concrete"
Go to video of "Infinite self-reflection"